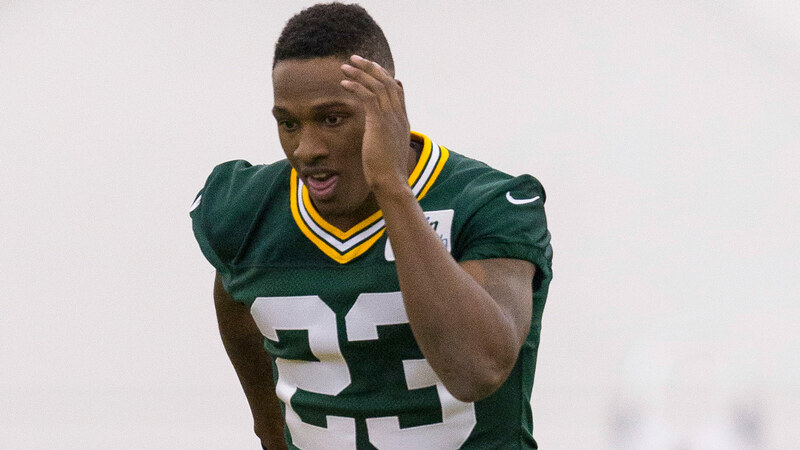 The Green Bay Packers used their first-round selection in the 2015 NFL Draft to pick up a veratile defensive back in Damarious Randall. Despite Randall’s undersized frame (5-11, 196 lbs. ), many draft pundits pinned him as one of the class’ top safety prospects coming out of Arizona State. The Green Bay Packers scouting department must have seen Randall in a different light, as ESPN’s Rob Demovsky wrote in a recent mailbag that the Packers only have plans to play him at cornerback. "The closest Randall will get to safety is playing in the slot in either the nickel or dime packages," Demovsky wrote. "At this point, the Packers appear set on playing their first-round pick at cornerback." The Packers already have a solid starting duo in Morgan Burnett and Ha Ha Clinton-Dix, plus a viable third option in Sean Richardson. What the team needs more is a reliable cover man to play on the outside, opposite Sam Shields. Of course, injuries in the secondary can quickly alter the Packers’ current plans. Given his overall athleticism and fit as a safety, Randall could become an interchangeable peg in the defensive backfield before his rookie season is over.